So i completed a 5 day trip to Xi’an, that was very interesting but the weather was very hot!. Not for anything, Xi’an is known as one of three ovens of China. This city is steaming hot!, so those days i just decided to skip going out in the mornings and limit my outings at the evening after the sun-set, when the temperatures start to drop-off. Nevertheless, i consider my trip a success, was really interesting and Xi’an is a wonderful place. Numbers 1 to 3 are hardly debatable, they are must see in Xi’an. 4 and 5 I found them to be very nice, but perhaps they might be replaced by something else if you guys feel like it sure. Terracotta Warriors is the real reason of why Xi’an is a magnet for tourists. Surely Xi’an has a huge historical importance, and this city has been the capital of China in many different dynasties and for many years. It’s really an important city. But the reason of why this city is tourist city of worldwide importance is the terracotta Warriors. Terracotta Warriors were found in 1974, and become some years later an UNESCO world patrimonial site. The fact that the terracotta warriors survived up to this day and age is simply a miracle and a coincidence. The site is almost 2000 years old and was made for the occasion of the burial of the First Han emperor. The place was partly destroyed by a revolting farmers, who let the place on fire. So everything remained buried and UN-looted up to this day. Which is the reason why we can visit the place nowadays. Another amazing fact is that there are still a lot of warriors and stuff still buried underground. But the excavation works have been halted in-definitively, because there were worries about the excavation methods. Namely some warriors still conserved some pigments and colors when unearthed, but this color decays after 6 hours. So they are investigating new method to properly UN-dig the warrior and conservation the coloration. The way to get there is to take a bus. Could you take a taxi?, a private minivan?, or a private tour?. Sure. But they will bleed you. You are giving an stranger a opportunity to rip you off badly. Take the bus that goes there, pay 6 yuan, less than 1US$. There’s no English language required whatsoever for this. This bus usually has 2 staff. The driver and a staff giving tickets and collecting money. Bus fare should be give to this person. When unsure, just handle him a 10 or 20 Yuan bill, and he will give you back the change + ticket. Easy. Bus number 307 goes there. Ride time is over an hour, and stops a few times in different stops. A private car or Taxi would be marginally faster. But price would be, i don’t know, 20 to 70 times higher… And you would still need to think the way-back. There is a bit of walking from the bus-drop off to the ticket building. This ticket building resembles an Bus station, and there is a mini-town outside of it. With plenty of shops an restaurants. Namely, i watched a McDonald’s, a burger king, a KFC, and many more. Plus a bunch of Chinese restaurants, ranging from small to big. So in the ticket building i bought the tickets. Prices are 120 Yuan per ticket. English (or other language) guides can also be hired in here. After i bought the tickets there was even more walking to the site place. The place is subdivided in 3 areas. Site 1, site 2, and site 3. Plus another museum and some other building not related. I visited site 3, then i did site 2, and i finished in the site 1. I also recommend this itinerary. Site 3 is sort of like a museum, contains stuff in urns. And the 2 bronze chariots found in the site plus some of their story and details explains. The chariot is really impressive, but site 3 for the most part only contains that. Is a huge excavation site. That in appearance has not much on it. But it also conveniently contains a few, about 5 or 6 terracotta warriors in an urn. This warriors really impressed me. As they are some of the best conserved and impressive of them all. Is also the best chance one gets to get really close to a terracota warriors and take some really close pictures. I liked this part of the visit a lot. Now site 1 is the main course, and the most magnificent part of the visit, perhaps because i saw this place pictured a few times it felt really special to enter her. I got a feeling of excitement while entering this huge oval-ed building. To watch the warriors here it really feels impressive, to admire this many figures together and observe how they all have different heads. The horses, the remnants of the old building that hold the figures originally, is really awesome. All in all terracotta warriors are the reason to go to Xi’an and a great place to visit if you go to China altogether. Originally built at 1272. This iconic Xi’an landmark was originally built for music, and later out used to announce time. Noways is, of-course, just one of Xi’an main tourist attractions. This building is located just in the center of Xi’an so i came to pass by this place several times during my stay in Xi’an, actually like 4 o 5 times. It is just beside the Muslim street, and beside a major shopping area. It’s hard to miss the place. Inside the drum tower i had the opportunity to witness a drum music show, which was quite nice to be honest, but rather short!. Is a good visit, but the entrance ticket is rather overpriced. Don’t miss the Muslim street to eat some typical Chinese snacks. Another important landmark. I can say that even nicer than the drum tower. It would take about 3 hours to fully visit this area. The Small Goose pagoda is quite a majestic place and a really old and historic place too. I loved the gardens, and the small Buddhist temples, and surroundings. It’s an incredible place. And it also hold the history of Xuanzang, a Buddhist monk who traveled from China to India walking various hundreds of years ago. So it was quite special for me to visit this place. Tang Paradise is some sort of theme park, based on the Chinese Tang dynasty 618-907 b.c. In this era China was pretty advanced economically and prosperous in arts, literature and culture. Chinese people value the Tang dynasty a lot and is very important for Xi’an. Needless to say the buildings are not really from 1000 years ago, and they are mere replicas. This didn’t disappointed me, i just expected a Tang based park. And that we got!. We visited on late June, with temperatures reaching 35ºC daily, the hot was really scorching. So we visited the Tang paradise after 5. We had to take a taxi to get there. After 5 o’clock the air is more cool and the heat not so intense. We paid the ticket and entered the place, where we got the chance to witness another drum mini-show. Awesome. The scenery is good, the park is super clean and i enjoyed my visit a lot. Plus i had the chance to take a whole bunch of photos. At around after 8 o’clock after the sun-sets. There is a dance and lights show which is pretty awesome. Overall i loved this theme park. Good but perhaps not great. This is a real historic landmark, from the Tang dynasty era. A really old and important structure. Hence another of those must-visit places in Xi’an. The wall is partially reconstructed and maintained but also still has a lot of it’s original condition. The views from over the wall are great, and a nice chance to watch a sunset. More-over is possible to hire at the top of the wall and do some biking there. Also a great idea. To get to the wall is possible to just ride a subway and get there quickly. Is it worth visit?. Absolutely yes. Is Xi’an a must visit while visiting China?. Yeah. But not a “super” must-visit. I mean, i would still rate higher Beijing, Yunnan province with it’s wonderful Lijiang, Tibet. I would even rank higher Huangshan and Anhui province. Certainly Xi’an would be inside a top 5. Best to visit in Xi’an?. Terracota. Best area to stay while visiting Xi’an?. City center!, near the subway and near the malls and restaurants. Xi’an is cheap, there’s no reason to stay in a remote area. Do Xi’an people speak English?. A bit?. Although i never had the feeling locals speak English. But i n fairness i been addressed in English several times. Locals do the effort. :p.
Is Xi’an food good?. Yeah. Aim for restaurants in the big-malls. Usually located in the higher floors. Is Xi’an expensive?. Not at all Xi’an is pretty cheap. 1. Bell Tower Hotel. 4*. At about 50$ per night. The location is perfect. Just in front and facing of the Bell tower. The subway station is just under. Around this hotel there is plenty of shops, malls, and the Muslim walking street. Location cannot be any better. 2. 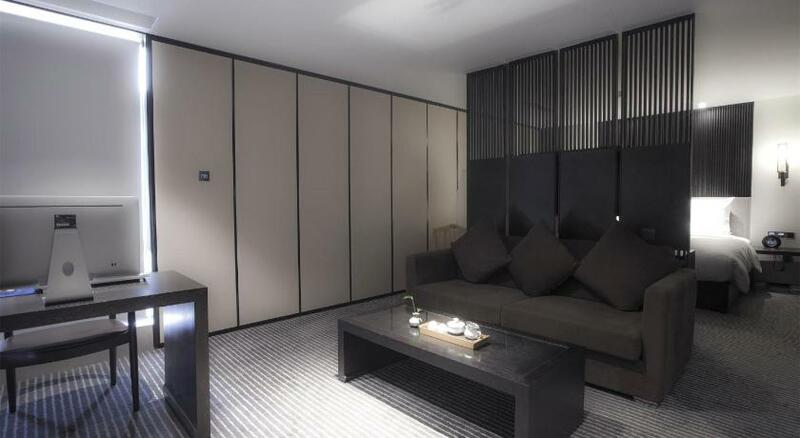 Eastern house boutique hotel. 5*. 75$ per night. Very close to the city wall. Beside a lively and chick bar street. Not far from the subway too. I think this hotel is a bargain for the price. In this hotel i paid about 78 bucks per night. The breakfast was incredible. Nice to have a sofa. Although i feel a desk and a chair is enough tbh. 3. Xian Tooyo hotel. 3*. 28$ per night. A cheaper alternative, but also good. Subway station is almost in the door with this hotel. Super close. The rooms are not so bad, wooden floor, spacious, clean and new. I stayed here and i think this hotel is better than a 3*, but not quite a 4*. Great place for less than 30$, really a bargain. A room like this was exactly what i got. Not bad. 4. Ramada Xi’an Bell Tower. 4*. 40$ per night. Love this area. This is an alternative for number 1 choice. 5. Xian Bell Tower Youth Hostel. 2* (backpackers hostel). 7$ per night. Hostels are not my cup of tea if I can afford better, and Xi’an is super-cheap. But, yeah, I guess some people love the hostels even if it’s just for socializing, or for those occasions when one is traveling with friends. The standard room i stayed in. Bed-bunks are cheaper. 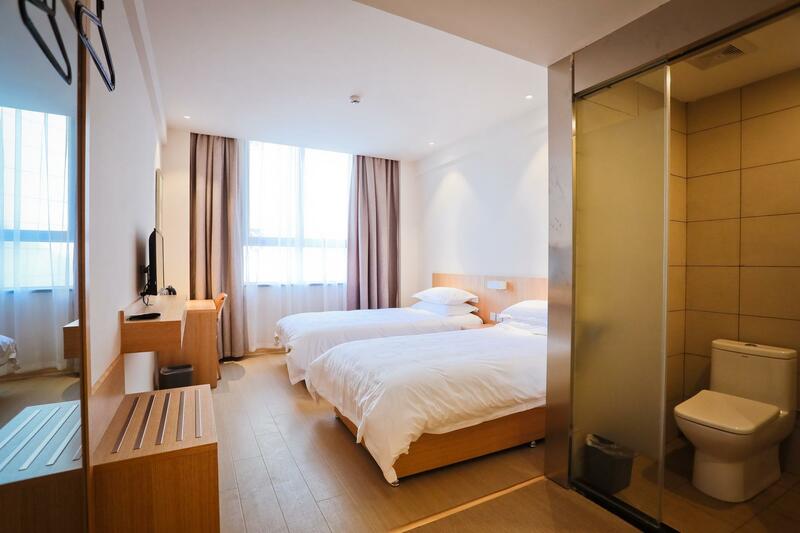 Great informative blog in choosing where to stay in Xi’an.